REJUVENATION USING THE FINEST NATURAL OILS AND INGREDIENTS. Immerse Yourself in Total Serenity. The WaterSpa at Eagle Lake promotes natural healing and rejuvenation through a variety of treatments that use only the finest natural oils and ingredients to soothe, refresh and stimulate. Our natural treatments complement the natural elements that grace the Inn. Before, during, and after treatments, this harmony with the environment provides tranquility and balance. The WaterSpa at Eagle Lake experience contributes to moments of meditation and lifts the inner spirit to a renewed sense of energy. The circuit begins in a large circular area bench offering two water jet formations – one that concentrates on the neck and lower back, the other providing a wave of motion. The centre island offers reflexology for foot and calf massage as you recline and absorb the view. The Deck fountains on the pool edge allow you to focus on specific areas of the back and neck as the warm waters cascade. This is followed by the Air Lounge with its stimulating bubbles rising from underneath as you gaze upon the stars. Next our Champagne Grotto provides for closeness and the unique sensation of being surrounded by thousands of tiny bubbles. Afterward it's time to enjoy the open water area to drift away and retire to the Balinese beds for rest and meditation. Aromatherapy is used to assist the passage of essential oils into the body to accentuate their therapeutic effects. All facials include: cleansing, toning, exfoliation, warm towel compresses, masque, massage, serum and moisturizing. This aromatic mud wrap is an all-natural blend of botanical ingredients naturally containing vitamins, minerals, enzymes and essential oils. This signature relaxing full body massage is performed by 2 spa therapists in one of our private couples treatment rooms. 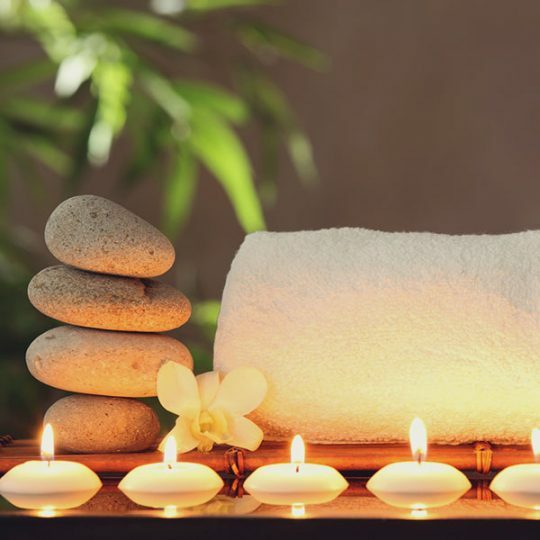 We believe that in order to experience full relaxation you must be physically and mentally stress-free. The Spa at Sir Sam’s Inn allows you to easily accomplish both of these goals. The WaterSpa at Eagle Lake promotes natural healing and rejuvenation through a variety of treatments that use only the finest natural oils and ingredients to soothe, refresh and stimulate. Our natural treatments complement the natural elements that grace the inn. Before, during, and after treatments, this harmony with the environment provides tranquility and balance. The WaterSpa at Eagle Lake experience contributes to moments of meditation and lifts the inner spirit to a renewed sense of energy. Discover the ancient art of aromatherapy refined over the centuries. Experience the therapeutic powers of essential oils in a relaxing massage that incorporates the healing powers through the sense of smell and touch. Helps to naturally increase circulation, while nourishing the skin. Pamper yourself with this traditional, full body Relaxation massage, using light to medium pressure, to relax aching muscles and stimulate circulation. Your skillful and nurturing therapist uses a combination of long strokes and gentle stretches intended to bring you to the ultimate state of relaxation. A gentle hair and scalp massage with aromatic organic essential oils that has been infused with the healing rays of the moon. Helps to improve circulation and delivery nutrition and strength to the hair and scalp. As well as receiving a scalp massage, the soft tissues of the neck and shoulders are gently mobilized and stretched, helping to ease tension and restore joint movement. A must have if you are feeling tired, tender or run down. A stimulating skin brush is used to promote an increase in the body’s circulation. The Gua Sha treatment will have you feeling rejuvenated after breaking down unwanted toxins in your body and is designed to stimulate the body’s immune system to provide circulation and eliminate toxins. Gua Sha Stone Therapy is an ancient technique where the Gua Sha stone is used to deeply treat the muscles for an instant feeling of relief. An intimate celebration for two! Two experienced therapists perform these full body relaxation massages simultaneously in our couple’s massage room side by side to enjoy our calming, invigorating massage that will balance body, mind and soul. It will loosen the muscles in the back and shoulders where tension exists. Allowing your body to unwind during a Back, Neck & Shoulder Massage will get rid of stiffness and promote deep relaxation. By speeding up circulation over a wide area of the body, more fresh, oxygenated blood will nourish the tissues, relieving aches and aiding tissue recovery and repair. Practice of applying pressure on precise zones of the feet, promoting relaxation, improving circulation, reducing pain, soothing tired limbs and encouraging overall healing. Drift into deep relaxation while your therapist massages the feet using thumb and ﬁnger pressure, encouraging the natural healing process. The moisturizing properties of Moor Mud help prevent dehydration and alleviate skin disorders. The humic acids in our mud also aid in relieving arthritic and rheumatic pain and give the body an overall sense of well-being. This invigorating scrub exfoliates and softens leaving your skin fresh and smooth while stimulating circulation. Your skin is rendered radiantly healthy and youthfully restored. The healing properties of mud have been used for thousands of years. This aromatic mud wrap is an all-natural blend of botanical ingredients naturally containing vitamins, minerals, enzymes and essential oils. This treatment alleviates aches and pains from arthritis or rheumatism, sports injuries or muscle tension and spasms. Complete your Spa experience with a specially designed Classic 60-minutes facial that will leave your skin feeling radiant and alive. 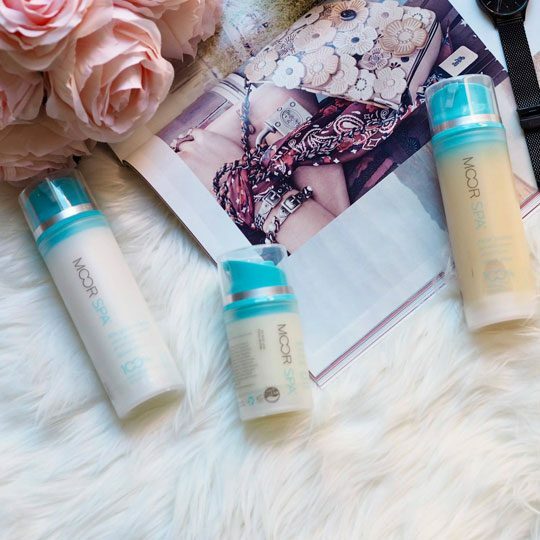 Your skin will be detoxified, purified, toned and revitalized by organic active ingredients. An abundance of natural essential oils is synergized within the famous Moor. Your absolute skincare professional will personally select the correct Austrian Moor facial products for your skin. The potent products are made with 30,000-year-old mud, rich in over 100 herbs and minerals to purify your skin and pores. Naturally sourced ingredients combined with the nutrient rich moor mud enhance your skin’s ability to regenerate. 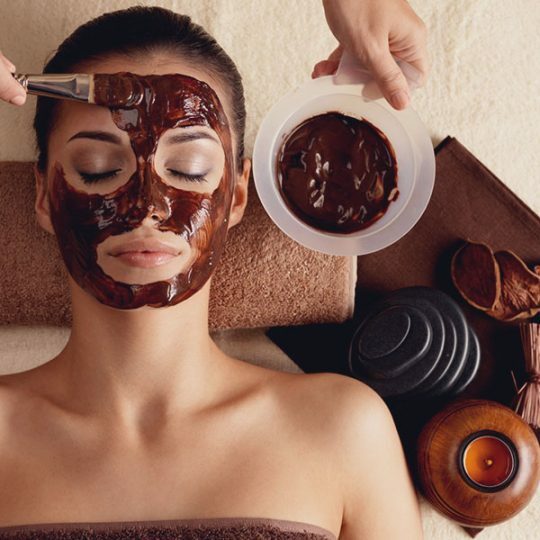 This custom, high-performance deep cleansing facial combines results with a relaxing experience. Reserve any 60 minute treatment and receive 50% off our regular Day pass fee. Your Day Pass includes use of our Water Spa facilities and Dry sauna. as well as any other amenities offered such as use of the tennis courts, outdoor pool and lake frontage. Canoes and Kayaks are also available in the summer (subject to availability). Cancellation Policy: All bookings must be guaranteed with a credit card or a pre-payment. Cancellation with less than 24 hours’ notice will be billed at 100% of the scheduled appointment.